AgriTrust of Georgia has announced Coley Gin & Fertilizer Co., Inc. as the winner of the 2018 Cotton Gin Safety Initiative. The Cotton Gin Safety Initiative is a program conducted by AgriTrust, a self-insured workers’ compensation fund that services agribusinesses in the state of Georgia, to encourage safety training by its cotton gin members. Winners receive a $2,000 check if they had no lost-time claims during the ginning season. Coley Gin & Fertilizer Co., Inc. received $2,000 as they had no lost-time claims. For almost 75 years, Coley Gin & Fertilizer Co., Inc. has been a family owned and operated agribusiness. Coley Gin & Fertilizer Co., Inc. was established in 1945 by Madison Coley Sr. and Madison “Sonny” Coley Jr. and is currently owned and operated by 3rd and 4th generation owners Chuck and Matt Coley. Coley Gin & Fertilizer Co., Inc. does cotton ginning, marketing and warehousing, and they also are a peanut buying point and warehouse. 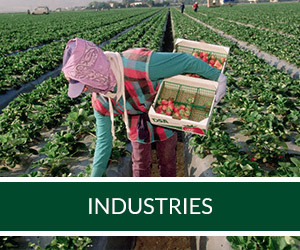 They have 9 full-time employees and usually employee 20 – 30 seasonal employees during the harvest season. According to Mr. Matt Coley, “Workplace safety is an area of continuous improvements. We try to stress the importance of following all safety protocols throughout the ginning season. Scheduled and unscheduled maintenance provide a great opportunity for a refresher on any safety topic.” Coley Gin & Fertilizer Co., Inc. plans to use some of their prize money to reward their employees with an appreciation lunch, and they plan to use the rest of the prize money to upgrade the camera system in the gin to better monitor the safety of their employees.